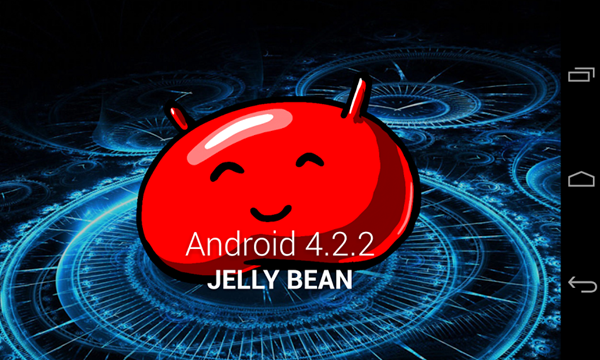 Say hello to Android 4.2 Jelly Bean. 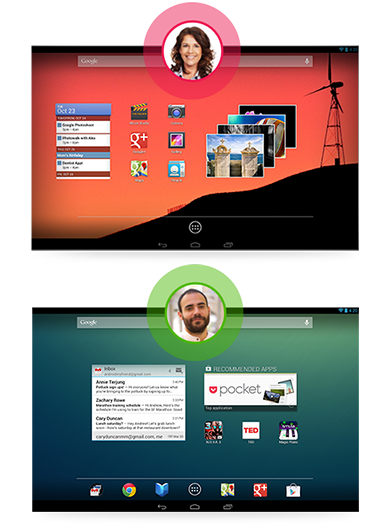 The new and updated version of Google’s Android OS that powers numerous smartphones and tablets. 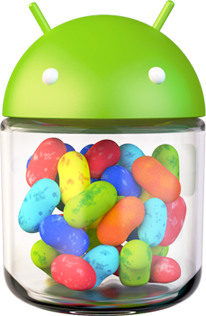 The newly released Android Jelly Bean 4.3 features major enhancements and new features like Photo Sphere and Gesture Typing. Android 4.2 will come preinstalled on Google’s newly announced Nexus 4 and Nexus 10. There is no word on when it will be available for older devices so those of you who want to install Android 4.2 on Galaxy S3 or on Galaxy Nexus or on any other device for that matter, you still have to wait and see. The update will eventually roll over but there’s no ETA. Taking larger than life pictures on your Android phone is now possible with Photo Sphere. The all new 360 degree panorama mode allows you to take pictures in any direction you want. You can then share these pictures on Google+ or even contribute it to Google Maps. You will definitely love this feature. Typing on a software keyboard is not easy. 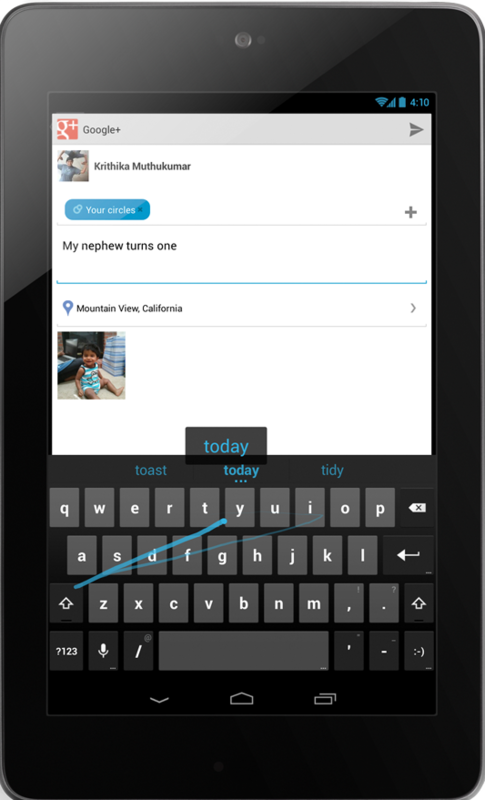 Android 4.2 introduces the Gesture Typing feature that makes typing on the go more fun and easy. You can type a word by simply gliding your finger over the letters that you want to type. Not only are the spaces added automatically but Gesture Typing feature can also predict your next word which allows you to complete your sentences quickly and easily. This is the kind of stuff that made Swype popular. Android 4.2 brings a very important new feature for tablet users and that is the option of having multiple users for a tablet the same way it is for desktop OS. 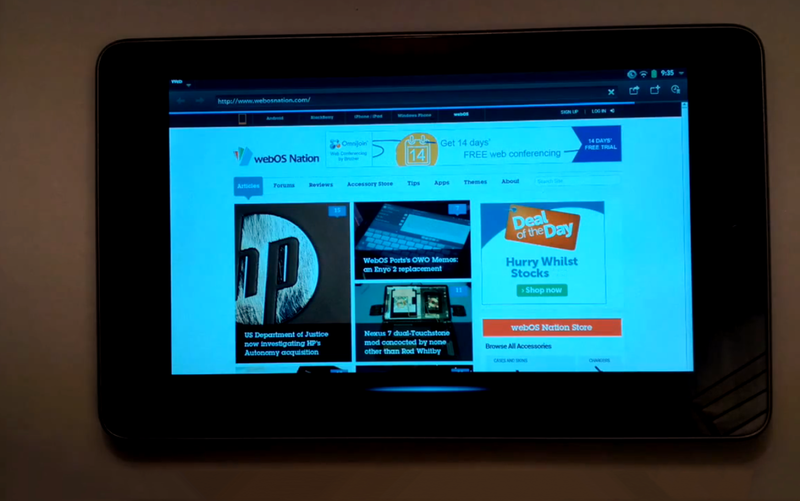 So, each user can have a customized experience of the tablet that was not possible earlier. You can customize your homescreen, widgets, apps & games and background to your liking. This feature is available for tablets only. Live in the moment, stay up to date with what’s happening around you and the things that interest you. Google Now brings you all the information that you need whenever you need it, and you don’t even have to “ask” for it. With Google Now, you can stay updated on current weather, flight information, restaurant reservations, traffic updates and even the current score of the match that your favorite team is playing. And all this happens automatically. You can now wirelessly share your movies, YouTube videos and any other stuff from your screen onto an HDTV screen. All you need is a wireless display adapter, attach it to your HDMI enabled HDTV and you are good to go. You can easily mirror your screen. 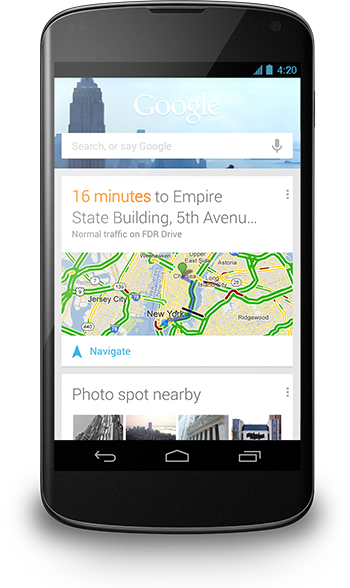 Learn more about it on official Google Android website.